Winston-Salem, NC – October 9, 2015 – Charter Medical Ltd., an innovative medical device manufacturer, announces the release of a cryogenic single-use bio-container intended for working cell banks with new FP-FLEX™ tubing that has been designed to close the therapeutic production process and enhance production of campaigns. 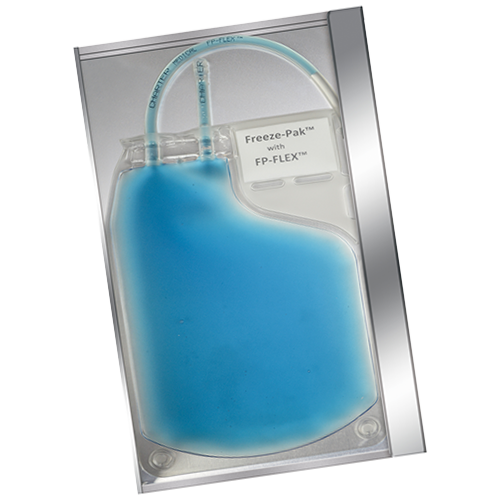 The single-use Freeze-Pak™ bag and FP-FLEX™ tubing together represent the first available closed-system solution enabling frozen storage, sterile connection and reduced seed train expansion time for biotherapeutic production. Gael Peron, President of Charter Medical stated, “The FP-FLEX™ product can significantly impact the biopharmaceutical and cell therapy industries because of its potential to significantly shorten production campaigns while minimizing contamination risk”. “FP-FLEX™ represents a breakthrough innovation expanding the Charter Medical product offering in the fast growing Bioprocessing and Cell Therapy segments”. The new closed-system process eliminates open filling and manipulation of working cell banks, significantly reducing contamination risks since the new tubing can be frozen and maintained at cryogenic temperatures, transported, thawed and sterile welded to other thermoplastic tubing. 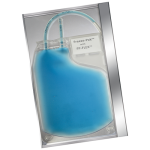 Additionally when compared to cryovials, a larger volume can be stored in the Freeze-Pak™ bags thus allowing to initiate the manufacturing campaign with a larger volume of cells. Charter Medical helps produce safe and effective medicines by designing and manufacturing custom single-use solutions for bioprocessing, cell therapy, blood transfusion and blood filtration markets. Charter Medical is a wholly owned subsidiary of Fenner PLC (LSE:FENR) and operates out of an ISO 13485 certified and FDA registered manufacturing facility in Winston-Salem, NC. To learn more, visit http://www.chartermedical.com. 3948 - A Westpoint Blvd.